Control inflammation throughout the body, not just in your joints. 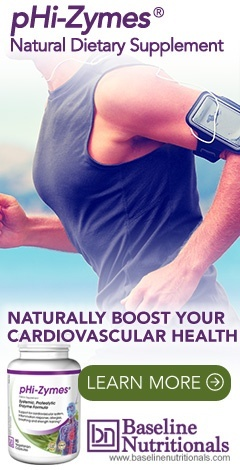 Repair and rebuild the cardiovascular system. Prevent and dissolve blood clots. Dissolve plaque in your arteries and dental plaque in your mouth. Clean up your immune system. Minimize the impact of allergies. Improve the ability to exercise and speed up recovery times. And all of these benefits stem from one simple ability: proteolytic enzymes facilitate the breakdown of rogue proteins in your bloodstream and in the soft tissues of your body. In this report, we're going to take a look at exactly what systemic, proteolytic enzymes are, what they do, how they do it, and what the ideal proteolytic formula looks like. In our previous report, Enzymes Defined, we explored the general nature of enzymes--what they are and what they do. In summary, enzymes are proteins that speed up chemical reactions. There are estimated to be between 50,000 and 70,000 different enzymes in your body that regulate every metabolic function in your body. Without enzymes, all of these metabolic functions would progress through the same steps, but would go too slowly to sustain life. In essence, enzymes make life happen where otherwise there would be none. Most people, when they think of enzymes, think of digestive enzymes, and in the world of alternative health, that usually means digestive enzyme supplements. But as we've already mentioned, there are tens of thousands of different enzymes in the human body, and 99.999% have nothing to do with digestion. An important concept to understand is that digestive enzyme formulas and systemic/metabolic, proteolytic enzyme formulas, although they may share many of the same enzymes (protease, papain, bromelain, etc. ), are not the same thing. When you take a digestive enzyme formula with your meal, the enzymes work on speeding up the breakdown of the food in your stomach. When you take a proteolytic enzyme formula between meals, the enzymes do not get stuck working in your stomach or wrapped up with your food and passed out through the colon. Instead, they quickly enter your bloodstream. Once in the bloodstream, they help optimize your blood, plus they make their way to all of the tissues throughout your body, where they assist with intelligent, adaptive healing. The vast majority of metabolic enzymes in your body, the enzymes that regulate everything from liver function to the immune system, are proteases, or proteolytic enzymes. Proteolytic is a catchall phrase for hydrolytic enzymes that specifically facilitate the chemical breakdown of proteins by severing the bonds between the amino acids that make up those proteins. Proteolytic enzymes occur naturally in all organisms and constitute 1-5% of all genetic content. They are different from other enzymes in the body in that they are able to adapt to changing needs. For example, the same proteolytic enzyme can meet both digestive and metabolic needs in the body. This is the reason that you will see some of the same proteolytic enzymes in both digestive enzyme formulas and systemic metabolic formulas. The bottom line is that a healthy supply of these protein specific enzymes is essential for sustaining and maintaining optimal health. Most of the proteases that we're going to talk about in this report are serine proteases. Serine proteases are enzymes that break peptide bonds in those proteins in which the amino acid serine plays a key role at the enzyme's active site.1 In humans, serine proteases are responsible for coordinating various physiological functions including digestion, immune response, blood coagulation, inflammation, and reproduction. Equally important, serine proteases are widely distributed in nature and found in all kingdoms of cellular life as well as many viral genomes. The ability to break down serine protein bonds in invading viruses carries some obvious advantages when it comes to defending your body. The two exceptions that commonly figure in supplemental enzyme formulas are bromelain and papain, which are cysteine proteases. In humans, cysteine proteases are responsible for cell aging and cell death, and certain immune responses.2 Thus, enzymes that regulate and enhance those reactions provide a perfect complement in any systemic, proteolytic enzyme formula. In addition, cysteine proteases play a role in bringing macrophages back into line when they are misprogrammed and attacking collagen and elastin at sites of inflammation such as arterial walls in atherosclerosis and lung tissue in emphysema. Which leads us to the next piece of the puzzle. Your DNA stores the code for all of your body's proteins and enzymes. In essence, your DNA is a protein manufacturing plant. Genetic diseases are the result of your DNA no longer producing those proteins and enzymes accurately or doing it insufficiently or excessively. Bacteria, viruses, yeasts, and fungi are all protected by proteins. Attacking those proteins is key to destroying the invaders. Food allergens are almost all proteins. Cancer cells are protected by proteins. Proteolytic enzymes have the ability to digest and destroy the protein based defense shield of each and every pathogen, allergen, and rogue cell, thereby leading to their ultimate elimination. In addition, established cancers reprogram the production of enzymes in the body to both accelerate their own growth and protect themselves from the immune system. Supplemental proteolytic enzymes have the ability to alter that dynamic. It is here that proteolytic enzyme supplements come into play. They compensate for your dietary inadequacies and errors by making their way into your bloodstream, where they set to work breaking down CIC's in your blood and soft tissues -- eventually passing the waste out through your kidneys and lymphatic system. Why You Need to Supplement? In a perfect world, we would all eat raw (organic) unprocessed foods that are naturally high in active enzymes. But this isn't a perfect world. Most people eat food that is enzyme deficient (cooking and processing destroy enzymes) and fail to chew food adequately (saliva contains amylase) so their bodies must compensate. The body is forced to divert its production of metabolic proteolytic enzymes into the production of large amounts of pancreatic enzymes in order to break down all of the dead food in our diets. Short term, this is not a problem. Your body can easily handle it. But the long-term consequences of this diversion are enormous. It can lead to everything from a weakened immune system to thickened blood, from pain and inflammation to cardiovascular disease, and from reduced athletic performance to difficulty breathing. Supplementing with proteolytic enzymes offsets this devastating diversion and restores balance. Many so called experts say that you can't absorb proteolytic enzymes. First, they claim that as proteins, they are broken down by stomach acid unless they are in enterically coated capsules. Then, other "experts" say that even if they do survive the stomach, their molecules are too big to pass through the walls of the small intestine--so you can't absorb them anyway. Whenever I hear these arguments, I'm reminded of the apocryphal story of the engineer who proved that bumblebees can't fly.6 Applying the principles of aerodynamics, he PROVED, based on their size, weight, the surface area of their wings, and the physiological limits of how fast they could flap them, that bumblebees could not fly. Of course, as we all know, bumblebees can indeed fly. The so-called proof is humorous nonsense. The absorption of proteolytic enzymes is a lot like that. It really doesn't matter how many theories you come up with to explain why they can't be absorbed; in the end, you can both measure their presence in the bloodstream and, more importantly, quantify the results of supplementation in your own body. I dealt with this issue in detail in the Enzymes Defined newsletter. In summary, pepsin (which is produced in the stomach), amylase (which is found in saliva), and lactase (which is added to dairy products) are three examples of enzymes that not only survive in high acid environments but actually thrive there. Yes, there are some animal based proteases (serrapeptase from silkworms, for example) that can't handle acid very well and need to be enterically coated; but for the most part, enzymes, even though they are proteins, are too big and too complex to be unfolded by the acid in the stomach, which means they can't be digested. Most are merely rendered temporarily inactive by the high acid environment…and then reactivated the moment they enter the more alkaline environment of the intestinal tract. And even if all systemic proteolytic enzymes were destroyed by digestive juices, instructions for using most such formulas tell you to take them between meals -- when stomach acid levels are extremely low. Thus, the issue is moot…at least for a well-designed formula, used properly. When I designed my own proteolytic enzyme formula, I specifically selected enzymes that survive the stomach acid environment. It's actually not that hard to do. The key is to use non-animal derived enzymes. As a rule, fungal and plant-based enzymes easily survive stomach acid. Oral supplementation with non-animal derived enzymes, such as microbial or fungal enzymes -- those manufactured by a fermentation process of Aspergillus, for example--possess unusually high stability and activity throughout a wide range of pH conditions (from a pH of 2-10).7 This not only guarantees their survival in the stomach but enables them to be more consistently active and functional as they are transported through the digestive tract. There have been studies that have specifically verified that plant-based proteolytic enzymes such as bromelain easily survive passage through the stomach.8 Bottom line: most supplemental proteolytic enzymes are not destroyed by stomach acid. Now let's address the issue of absorption. The standard medical assumption--and it was taught in medical school for years--is that no dietary protein is absorbed in an undigested form -- pretty much without exception. Rather, since their molecules are too large, dietary proteins must first be digested into amino acids or di- and tripeptides before they can be absorbed. At first blush, that seems to exclude undigested enzymes, which are indeed proteins--and extremely large ones at that. But study after study proves that supplemental enzymes do indeed cross the intestinal wall and enter the bloodstream. Although the definitive answer as to how they accomplish this is unknown at this time, studies suggest that proteolytic enzymes are able to increase the permeability of the mucosal epithelium and, hence, facilitate their own absorption by a mechanism of self-enhanced paracellular diffusion.9 Or to translate that for the layperson: unlike food proteins that must be absorbed into the cells that line the small intestine, enzymes pass between those same cells--and thus can pass whole, without being broken down into their constituent peptides and amino acids. When summarizing the arguments pro and con on the absorption of non-enterically coated proteolytic enzymes in the intestinal tract, I'm reminded of the movie Chicago. The husband of Kitty (Lucy Liu) says to his wife when she catches him in bed with two women, "Come on, darling, you gonna believe what you see or what l tell you?" The correct answer is obvious, so she shoots him. In the end, it doesn't matter what some experts say, proteolytic enzyme supplements can be measured in the bloodstream…and their benefits can be seen by anyone who uses them. Several years ago, I issued a challenge to readers to validate the ability of the non-enterically coated, systemic, proteolytic enzyme formula that I had created to dissolve dental plaque. This is significant since, for this to happen, the enzymes have to pass through the stomach unscathed, be absorbed in the intestinal tract, make their way into the bloodstream, pass from there into your salivary glands, and then finally out into your mouth. If they can do that, that proves the case for absorption, in spades! Well, we heard from a number of our readers who took the challenge. The response below was typical. In addition to directly breaking down problematic proteins such as the fibrin that both produces dangerous blood clots and holds arterial plaque together, proteolytic enzymes play a key role in modulating both the immune response and inflammatory cascades. According to a study published in the Slovakian journal, Bratislavské Lekárske Listy, there is strong evidence that systemic enzyme therapy can improve the composition of blood and the properties of vessel walls, as well as both prevent and dissolve dangerous blood clots and the consequences of venous insufficiency.13 The study went on to say that the key feature of enzymotherapy appears to be its immunomodulatory activity. "There exists a strong evidence for the favorable modulation of pathogenic autoantibodies, inhibition of the neogenesis of immune complexes and cleavage of their deposits, [and] normalization of the T cell system, network of cytokines [i.e., rebalancing pro-inflammatory and anti-inflammatory cytokines], adhesion molecules and inflammatory cascades." Or again, to put things in laymen's terms: supplemental, proteolytic enzymes can shift your immune system away from an automatic, reactive response to a more measured, moderated response, calm down systemic inflammatory cascades, and, as already discussed, significantly reduce levels of circulating immune complexes, all of which can be extremely beneficial for anyone dealing with any autoimmune conditions such as rheumatoid arthritis--as well as anyone looking to avoid them. Reduced systemic inflammation for: Increased heart health, cancer and disease prevention and recovery, Alzheimer's prevention, fibromyalgia and chronic fatigue relief, and more. Cleanses the blood of debris. Breaking down and removes circulating immune complexes. Dissolving fibrin in the blood, reducing the risk of clots. Dissolving fibrin in arterial plaque, thus leading to the breakup of arterial plaque. Eliminating the risk of DVT (Deep Vein Thrombosis) when flying. Killing bacteria, viruses, and other invading pathogens. Reduced risk of and response to food and pollen allergies. Faster recovery time from workouts. Helping with sinusitis and asthma. Aiding in cleansing and detoxification. What Constitutes a Good Systemic Proteolytic Enzyme Formula? So what should you look for in a properly designed supplemental proteolytic enzyme formula? First, it needs a lot of protease. You want at least 200,000 HUT. This is far more than you will ever find in a digestive formula. 300,000 HUT is even better. And you will want to use vegetarian enzymes since they are much more tolerant of stomach acid and work in a much wider range of pH environments. Second, you also want a good variety of enzymes which utilize different biological pathways and whose benefits complement, rather than duplicate, each other. Third, there are some non-proteolytic enzyme ingredients that you will also want to include in the formula both because they increase the efficacy of the proteolytic enzymes in the formula and because they provide their own complementary benefits as well. With that said, let's now take a look at the ingredients that I include in what I consider the ideal systemic, proteolytic enzyme formula. Fungal protease and fungal pancreatin are names for particular strains of vegetarian protease enzymes. These are the general workhorses of the formula. In fact, pretty much the entire newsletter so far has been a discussion of the benefits associated with these enzymes. Fungal pancreatin is a subset of fungal protease. It specifically refers to a mix of vegetarian sourced enzymes that mimics the enzymes produced by your pancreas. It is primarily a combination of trypsin, amylase, and lipase. The lipase and amylase are not proteolytic (i.e., they don't work on proteins) but complement the action of proteolytics by working on leftover fats and carbohydrates both in the intestinal tract and the bloodstream--cleaning up what proteolytics cannot touch. Keeping in mind that this formula is designed to be taken between meals, the amylase and lipase, which are frequently found in digestive enzyme formulas, are not included for the purpose of digesting food. In a systemic proteolytic formula, they, instead, play the role of garbage collectors. The addition of the amylase and lipase is important enough that I recommend augmenting the levels found in the fungal pancreatin with the inclusion of small amounts of pure amylase and lipase as part of the formula. Bromelain actually refers to a mix of two similar enzymes, along with their related compounds, which are extracted from the stems of pineapples. Bromelain has been used by Europeans for many years to inhibit inflammatory factors. It has been suggested by some formulators that bromelain is destroyed by stomach acid and needs to be enterically coated to protect it. That's simply not true. Consider that the pH of the stomach ranges from 3 or 4 during digestion (with only a quick burst to as low as 1 to 2 immediately after eating a high protein meal). But the stomach's normal resting pH between meals is about 4 or 5. Now compare that to the pH of pineapple juice at 3.3-3.6 and you can see that bromelain is more than comfortable with the acid ranges found in the stomach--especially keeping in mind that systemic enzymes should be taken between meals, not with them. Papain, which is an enzyme found in unripe papayas, has properties similar to bromelain. It is well known for its use as a meat tenderizer, since, as a natural proteolytic enzyme, it breaks down the proteins in meat--thus tenderizing it. This same ability means that we find papain used in many digestive enzyme formulations. But that's not the reason we use it in a systemic enzyme formula--at least not directly. If papain is taken between meals, it makes its way into the bloodstream where it helps reduce pain and inflammation, as well as fluid retention following trauma and surgery. In fact, studies have shown that papain possesses strongly marked anti-inflammatory activity, and this ability is no less than that of the pharmaceutical drugs, butadion and indomethacin.23 Papain is also used for treating parasitic worms, shingles, and psoriasis, as well as being used along with conventional treatments for tumors. Nattokinase is extracted and purified from a traditional Japanese food called natto. Natto is made from boiled or steamed soybeans fermented with the beneficial bacteria, Bacillus subtilis natto.24 It is very important to understand that although nattokinase is extracted from natto, a soy based food, it is not natto itself, and it contains no soy. It is a purified enzyme that no longer has any soy characteristics left in it. Nattokinase has a remarkable ability to optimally balance the clotting ability of blood. It rivals pharmaceutical drugs such as warfarin in that ability but without any of the side effects or downsides, making it of value to everyone, not just heart disease patients. Obviously, if you are already using blood thinners, you will need to work with your doctor if you decide to incorporate a proteolytic enzyme formula in your health program--especially one containing nattokinase. Unfortunately, most doctors will opt to play it safe (for them, not you) and choose to keep you on the pharmaceuticals. Studies have also shown that nattokinase works as an ACE inhibitor to help lower blood pressure.25 In fact, a 2008 study conducted over eight weeks, found that nattokinase was able to moderately lower both systolic and diastolic blood pressure in hypertensive human subjects.26 And finally, a 2009 study out of Taiwan found that the nattokinase has the ability to dissolve amyloid fibrils, which means it may help prevent Alzheimer's disease. Not a bad incidental benefit. Seaprose-S is a semi-alkaline, serine, proteolytic enzyme produced by the fungus Aspergillus melleus. As reported in the journal Drugs under Experimental and Clinical Research, seaprose has both anti-inflammatory and anti-cold properties, demonstrating a potent ability to reduce painful inflammation and break up mucus.27 Specifically, this report pointed out that seaprose has shown anti-inflammatory activity against many different conditions, including arthritis, edema, pleurisy (inflammation of the lung lining), and peritonitis (inflammation of the lining of the abdomen). It also pointed out that in animal studies with arthritis, seaprose-S significantly reduced the primary and secondary lesions--demonstrating an ability to increase proteoglycan synthesis in cartilage. Its quality tends to be inconsistent. It can cause intestinal distress. It is very sensitive to stomach acid, which means it has to be enteric coated. Unfortunately, the technology for enterically coated capsules is not reliable (which is why you normally find enteric coating used only on hard tablets or on hard beads inside capsules (as in cold capsules). Manufactured in Japan and is of consistent high quality. Causes virtually no intestinal distress. Unaffected by stomach acid so it does not require enteric coating. The bottom line is that serrapeptase is harder to work with, produces side effects, can't handle stomach acid, and has to be used in an enterically coated capsule. And since the formula as is already provides all the benefits offered by serrapeptase without those problems, why use it? And finally, as we discussed earlier, rutin--along with trypsin (as found in the fungal pancreatin)--enhances the effect of the bromelain. The bottom line is that rutin mirrors the benefits of the proteolytic enzymes in the formula but does so using different, complementary pathways. Ginger is a COX-2 inhibitor. The COX-2 enzyme plays a key role in the inflammation process, which is a normal, healthy attempt by the body to heal itself. However, when inflammation gets out of control (such as in the case of arthritis or other chronic inflammatory disorders), ongoing pain and discomfort is the result--not to mention that systemic inflammation is considered to be a contributing factor to catastrophic illnesses such as heart disease and cancer. A botanical COX-2 inhibitor such as found in ginger can block the action of the COX-2 enzyme in much the same way as prescription drugs do, but without the side effects. I've written before about ginger's benefits when it comes to controlling joint inflammation, but the benefits of controlling systemic inflammation go far beyond that. The bottom line is that ginger's anti-inflammatory benefits are spread systemically throughout the body and, as with rutin, accomplish these effects using different, complementary pathways than do the proteolytic enzymes in the formula. Like rutin, ginger provides a perfect complement to our systemic, proteolytic enzyme formula. The big breakthrough in this formula is the addition of a pH buffering system (the CMIK-pH+™ Mineral Blend). This buffer provides a number of benefits, but the primary one is that it helps optimize the pH of all your soft tissue. Since your body will do anything to keep your blood's pH in a narrow range, that means it robs Peter to pay Paul. It steals minerals and lowers pH in your soft tissue to prevent your blood from changing pH if your diet is too acid forming--as is most people's. If you eat meat, dairy, cooked grains, desserts, and most fruit, then your diet is indeed too acid forming. The bottom line is that by raising soft tissue pH, you dramatically improve the ability of proteolytic enzymes to root out CIC's embedded in that soft tissue, thus relieving allergies and reducing the possibility of autoimmune conditions/diseases. The addition of a pH buffering system to a proteolytic enzyme formula is so revolutionary and effective, it was awarded a US Patent. Protease -- 300,000 HUT (Hemoglobin Units, Tyrosine basis). Fungal Pancreatin -- 1,200 USP (United States Pharmacopeia). Nattokinase -- 540 FU (Fibrinolytic Units) refers to nattokinase's ability to break down the blood clotting enzyme, fibrin. Seaprose S -- 15,000 U (quite simply, an enzyme Unit). Papain -- 72 MCU (Milk Clotting Units). Based on how fast the enzyme digests milk protein. Sometimes listed as PU (Papain Units), which are equivalent to 0.1 MCU. Bromelain -- 336 GDU (Gelatin Digesting Units). Based on how fast the enzyme digests gelatin. 1 MCU is equivalent to 0.67 GDU. Amylase -- 3,000 SKB (named after the creators of the test Sandstedt, Kneen, and Blish ) or DU (used in the brewing industry). SKB and DU match up one to one. Lipase -- 192 FIP. Formerly measured in LU (Lipase Units), but now more commonly measured in FIP units (i.e., according to the test methods of the Fédération Internationale Pharmaceutique). On a unit to unit basis, 1 FIP is equivalent to 10 LU. Reduced inflammation: Inflammation is a natural response of the body to injury. However, excessive inflammation retards the healing process. Proteolytic enzymes reduce inflammation by neutralizing the bio-chemicals of inflammation (bradykinins and pro-inflammatory eicosanoids) to levels where the synthesis, repair and regeneration of injured tissues can take place. Reducing inflammation can have immediate impact on improved heart health, cancer prevention and recovery, and Alzheimer's prevention. It also helps speed up recovery from sprains, strains, fractures, bruises, contusions, surgery -- and arthritis. Cleansing the blood of debris: Proteolytic enzymes are the primary tools the body uses to "digest" organic debris in the circulatory and lymph systems. Supplementing merely improves the effectiveness of the process. Dissolving fibrin in the blood, reducing the risk of clots: Nattokinase, in particular, is extremely effective at improving the "quality" of blood cells, optimizing the ability of blood to flow through the circulatory system, and reducing the risk of clots. This is extremely important in reducing the risk of stroke. It also makes using proteolytic enzymes during long plane flights to minimize the potential of blood clots in the legs an obvious choice. Maximized immune system: The primary vehicle the immune system uses for destroying invaders is enzymes. Macrophages, for example, literally digest invaders with proteolytic enzymes. Supplementation significantly improves the ability of your immune system to do its job. Killing of bacteria, viruses, molds, and fungi: Bacteria, viruses, molds, and fungi are protein/amino acid based. Proteolytic enzymes taken between meals literally go into the bloodstream and digest these invaders. Elimination of autoimmune diseases: In Lessons from the Miracle Doctors, I cover in detail the process whereby large undigested proteins make their way into the bloodstream and form CICs (Circulating Immune Complexes), which trigger allergies and autoimmune diseases. Supplemental proteolytic enzymes clean CICs out of the body, thereby reducing allergies and autoimmune conditions. In addition, this helps with sinusitis and asthma. Dissolving of scar tissue: Scar tissue is made of protein. Proteolytic enzymes can effectively "digest" scar tissue -- particularly in the circulatory system. And finally, a properly designed supplemental proteolytic enzyme formula can help.reduce the symptoms of MS, clean out the lungs, and aid in detoxing. Add more raw foods to your diet. Cut out (or at least cut down) on processed foods. Cut out (or at least cut down) on cooked foods. Chew your food properly so they thoroughly mix with the enzymes in your saliva. Drink alkalinized water--but not with your meals as it dilutes your digestive juices. For most people, taking their proteolytic enzymes in the dosage described above on a daily basis, at least 1 hour before eating is all that's needed to give you the best shot at maintaining a healthy inner environment. Since that dosage is likely to be contained in more than one capsule, it's best to spread it out over the course of the day--say one capsule three times a day, assuming the dosage is contained in three capsules. For detoxification (really more of an overhaul and repair of your entire body), start by doubling the maintenance dosage, then tripling it if needed, and even quadrupling it -- until you notice benefits, or as recommended by your health professional. You will want to run a detox program for a minimum of 30 days to as long as 12-24 months -- depending on the state of your health and how much damage you are trying to repair. For performance athletes, or people just interested in optimum cardiovascular health or faster recovery and repair, you can build to (and continue on) three to four times the maintenance dosage per day for as long as required. Can you take too much? Absolutely! As we discussed, one of the benefits of a good proteolytic enzyme formula is that it works as a natural blood thinner. But as the old saying goes, "Too much of a good thing is bad." Unlike pharmaceutical blood thinners, though, this is unlikely to ever manifest as bruises suddenly appearing all over your body. However, if your dosage goes higher than your body can handle, you will notice an increased tendency to have spontaneous nose bleeds or increased rectal bleeding if you have any hemorrhoids. If you notice any of these symptoms or have any intestinal discomfort, or discomfort of any kind, back down your dosage until the symptoms disappear. Also, it should be noted that although supplemental proteolytic enzymes significantly decrease the risk of both ischemic and transient ischemic strokes (those caused by blood clots and that account for 87% of all strokes), they do, on the other hand, increase the risk of damage if you have a hemorrhagic stroke (a bleeding stroke caused by a weakened blood vessel) because clotting may take longer. Then again, proteolytic enzymes are just as likely to strengthen that blood vessel in the first place, thereby reducing your odds of having a hemorrhagic stroke at all. And finally, one of the best testimonials I ever received on the benefits of systemic, proteolytic enzymes, was sent to me shortly after I released my own version of the formula in December of 2003. And based on the detail included in that testimonial and the breadth of the conditions discussed, plus the fact that it came from a health professional, it's still one of the best. Check it out. If I take Digestive enzymes with food, do I need to also take the Proteolytic Enzymes? Also, my son, who is 19 yoa has congenital liver fibrosis. I give him Digestive Enzymes with each meal. Should I give him the Proteolytic Enzymes as well or in lieu of the Digestive Enzymes? Thanks in advance for your reply. And where do I buy? Richard, Just scroll down to see answer. See this note: "Submitted by BaselineFoundation on April 18, 2011 - 7:57am." Also Keith Scott mumby says milk is deadly has no place in body that goes for raw milktoo it doesn't belong in body. As for your son, for obvious legal reasons, we cannot diagnose or prescribe for specific medical conditions. But again, in non-medical terms, taking digestive enzymes with food is different from taking proteolytic enzymes between meals. Again, Jon’s series of newsletters on enzymes will explain the difference. I recently moved to New Mexico and found that in the early spring when the pollen as active from the Juniper trees I have serious allergies (itchy eyes, sneezing, scratchy throat, inflamation under eyes and some throat, runny to stuffy nose, fatigue). After the blooming passes the symptoms subside. I am doing a colon cleanse and considering the Phase 2 and 3 cleanse. Is juniper in the phase 2 or 3 detox formulas and if so would taking the formula be supportive or could it trigger allergy symptoms when taken internally? Thanks so much. Will proteolytic enzymes assist in reducing surgical adhesions as a result of abdominal surgery. I saw a comment they work on scar tissue. For obvious legal reasons, we cannot diagnose or prescribe for specific medical conditions. can children as young as 12 years old take proteolytic enzymes to help with asthma and sinus ?? Some children, with their pediatrician’s permission and guidance, do take proteolytic enzymes with beneficial results. You do want to have your pediatrician monitor the dosage since one of the benefits of proteolytic enzymes is that they decrease the tendency of blood cells to clump together. At the right levels, this is positive, but if the dosage is too high it can lead to a reduced ability of blood to clot – and in a smaller child’s body, that can happen at lower dosages. For obvious legal reasons, we cannot diagnose or prescribe. To name a particular dosage in this case would amount to prescribing for a child. We can list general guidelines for nutrients as “nutritional support” supplements for adults, but cannot recommend specific dosages for children. However, most pediatricians use the weight method for prescribing supplements for children. Assuming an average adult weight of 150 lbs, then a child of 75 lbs would get half the adult dose. A child of 50 lbs would get 1/3 the dose. Check with your pediatrician to see if they use that method for calculating supplement doses for your child. That question as phrased doesn’t actually have meaning. Protease is a general description for any enzyme that breaks down proteins. It’s a bit like asking, “What would be the recommended daily amount of vegetable.” It depends on what specific type of proteases you use, what’s their strength, how they’re combined in a formula, etc. For instructions on how to use such a formula, check out http://www.baselinenutritionals.com/products/phi-zymes-90.php. Keep in mind that different formulas, will be used differently. what is your input about the "Pauling Therapy" which recommends massive amounts of Vitamin C daily, to reverse arteriosclerosis. Does it work, or is it another idea that does nothing. The evidence for the benefits of “Pauling Therapy” with cancer are stronger than for heart disease. But that said, you need to make sure that you’re actually doing the therapy as Pauling advocated. The key here is that virtually all significant studies on vitamin C -- particularly those done by Linus Pauling -- were done at 4,000 mg a day administered intravenously. If you're trying to evaluate a health protocol, you actually have to use the protocol in question if you wish to assess it. You can't arbitrarily cut doses to 500 mg a day and conclude the protocol doesn't work. Yes information given in this article is worth a praise and everyone should read benefit in excellent healthy lifestyles without use of medicine.God bless you. How could this relate to MS and immune system failure ? Absolutely GREAT stuff! Thanks for writing this info and for sharing this. I will do what I can to get the word out about you and your organization. We need more people like you!! My husband has had numerous surgeries on his leg (8 so far)and has a problem with extensive scar tisue formation at his prosthetic knee. He is already on supplements and Alkalinized water. What phizyme product do you recommend for him? Well.I am more than delighted to add myself to the list of Phi-Zymes users who have experienced dental benefits.Admittedly,I started on Phi-Zymes,April 4th 2012 to be exact,for the athletic/cardiovascular benefits that it promised,but sort of by coincidence I was way overdue on my dental appointment.I just hate the rough feeling on my teeth that not even a change of toothbrush can affect.Anyways,in well under two weeks(and that's really stretching it)my teeth were as smoothe as any dentist visit I've ever had.It's kinda ironic that what's supposed to be a'minor beneficial side-effect'has in my case turned out to be the most immediate one.And a powerful one at that.Although I know the entire product is working systemically,at this point I can only speak with total clarity on the teeth benefits.The effects are just too overwhelming.Hopefully I can quantify my overall benefits at a later date. I just have to make this comment about my experience with Phizymes. For as long as I can remember, I have had trouble with my ears plugging up when I fly, and my right ear in particular will stay plugged for two or three days. I travel weekly, so I've just gotten used to it. I also have bilateral pulsatile tinnitus to go along with the rest of my ear problems. On my last two trips, an amazing thing has happened. My ears did not plug up, cleared gradually on decent, and completely by the time the plane pulled up to the gate. That's four flights! In addition, my tinnitus has taken some kind of turn, it sounds different, and is milder - sometimes I have to stop and think to see if it's still there. I did not buy this product for my ears - this is an unexpected blessing. By the way, I'm taking three capsules when I get up in the morning, and three capsules an hour or so before dinner - usually around five PM. Will probably settle down to the recommended maintenance dose in a couple more weeks. PS: Would like to know if there are any more tinnitus victims out there, and if they're having a similar experience. Would it be correct to assume that you should not take pHi-Zymes® if you're taking Plavix?